Assuming you have both a Kindle and an active Amazon Prime membership, you now get to make use of Amazon’s latest eBook related service, the Amazon Prime Kindle Owners’ Lending Library! Aside from having a rather unwieldy name attached to it, this will be a good thing for those who get to take advantage of it. Of course, aside from being occasionally lucky it might be hard to figure out how to take advantage right off the bat. We’ll start there. 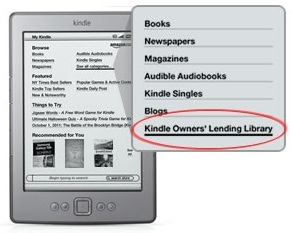 First off, it is helpful to be aware that you need to do your borrowing from the Kindle itself. 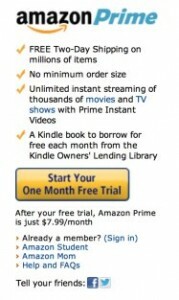 While you might find books that have borrowing enabled while browsing the Kindle Store on another device, in which case you will see “Prime Members: $0.00 (read for free)”, you cannot begin the borrowing until you pull it up on your eReader. If your Kindle software is up to date, the Kindle Storefront will now have a “Kindle Owners’ Lending Library” category to choose when you click on “See all…”. Look around from there and choose your book! As far as what is currently available, none of the Big 6 publishing houses are currently taking part in this program. They have cited concerns that offering something like this will devalue the eBook as a format in the minds of customers. Strange reasoning, but not much we can do right now. Among the 5,000+ titles that are available, though, expect to find selections in pretty much every category. Keep an eye out for things like Vook Classics titles, which will work just fine but encompass titles that most people will get just as much out of when reading for free anyway. You only get one rental per month under this program, so it’s worthwhile to use it wisely. That one rental will strike many people as rather little to get for the $79/year Amazon Prime membership, making this an ineffective marketing tool on its own, but it will probably help drive sales of the new Kindle Touch and Kindle Fire eReaders among existing Prime customers. Amazon is clearly convinced about this since they are once again putting their own money into getting a Kindle program off the ground. Not all of the books being offered are in the Library by publisher agreement, it seems. In cases when Amazon is able to grab eBooks through non-Agency Model relationships, they are simply buying at wholesale and then lending to customers, eliminating any publisher participation. The jury is still out on how long this will last before somebody gets really upset about it. Reading a book every couple weeks is not at all unreasonable for anybody, and Amazon has said on multiple occasions that their data shows that Kindle owners buy more books than most people. We have to hope that translates into more books being read as well. Perhaps the intention here is to keep people interested in continual consumption and draw in those who haven’t yet gotten too invested in their Kindle. Regardless of the reasoning behind it, there’s no downside if you’re in a position to take advantage. Enjoy your book. For some time now Amazon has been pushing their Amazon Prime service. For just $79 a year (less if you’re an active college student with a valid .edu email address) you can take advantage of unlimited free two day shipping on eligible items as well as enjoy the perk of a selection of streaming video titles free on demand to any supported device. While the former has been the major selling point for many so far, the latter is going to be an increasingly big deal with the coming of the Kindle Fire. 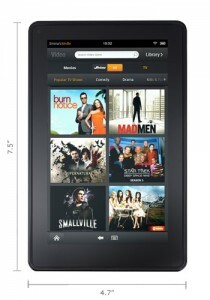 There is a reason that the Kindle Fire will be coming with a month worth of Amazon Prime membership. The device is designed to work as an ideal portable video streamer. The Amazon Instant Video library has been growing regularly since right around the time the first Kindle Tablet rumors started popping up, and it hasn’t stopped yet. A significant portion of that is free to Prime members. Of course, as with any such program, there are issues. Most significantly is the fact that much of the benefit is restricted to the United States. Amazon’s other sites mostly have their own versions of Amazon Prime with similar benefits (such as Amazon.co.uk offering free 1 day shipping and evening or weekend delivery discounts in select areas) but as yet none of them seem to involve the video service. While there are obvious reasons for this, including the complications of international media rights acquisition and local content distribution laws, that doesn’t mean that the problem isn’t there. It is slightly strange that Amazon would choose to call their program basically the same thing in multiple countries while offering different benefits depending on location. This is, incidentally, widely believed to relate directly to the Kindle Fire‘s lack of international presence. Before Amazon can hope to make any money off of such a device, they need to have the media services in place for it to tie into. No video streaming, no Kindle Fire. Will this be changing in the future? I think it is safe to say that most people expect Amazon to be making a move to expand their digital media services internationally in the near future. The recent expansion of the Kindle eReaders into new markets could even be seen as a way of testing the waters, so to speak. I don’t think that this will happen soon enough to please most people, though. Given the time required for Amazon to build a significant library of video content, Prime members are likely to be left on the back burner as far as this goes for some months yet. More in countries whose Amazon presence is still quite new. Still, watching for changes in how the Amazon Prime services are handled may be a good way to predict Amazon’s next moves in a given country. As closely tied into it as the Kindle Fire seems to be, a beefing up of related content seems to be a likely predictor of a local tablet release. As popular as their new tablet is, I can’t see Amazon stopping at just the US. While it does other things as well, in a lot of ways the Kindle Fire seems to be intended to do for internet video what the Kindle eReader line has done for the eBook. While Amazon hasn’t quite got the content of, say, Netflix, they’re doing a great job of building up the lists in preparation for the launch of the new media tablet. 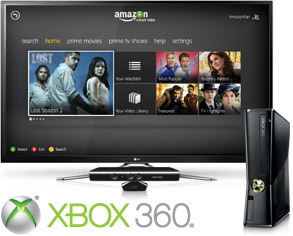 Deals have been made with the likes of Fox, CBS, and others to offer a selection that will cater to practically any taste. The big trick is to get people interested in buying. In order to ease customers into the experience, new Kindle Fire owners will be getting a month of free Amazon Prime membership. Now, in addition to the well known benefit of free two day shipping on almost anything Amazon.com sells for the duration of a Prime membership, everybody with said membership get to stream a fairly large segment of the Amazon Instant Video library for free any time they want to. It isn’t the whole collection by any means, but there’s been some good stuff there. Now there is even more. Amazon has arranged to make a large selection of popular PBS titles available as part of the Prime package. This will include Frontline, Antiques Roadshow, Julia Child’s The French Chef, and a great deal more. All told, over 1,000 new episodes will show up over the next couple months, bringing the general total of this free streaming category to over 12,000. PBS has declared that this is part of a larger overall strategy to bring their programming to anybody who wants it whenever and wherever they want to experience it. Obviously this works out well for customers. Freely available content is nice and it will give people a chance to assess the value of the Amazon Prime program on an individual basis. For Amazon it’s even more useful since it gives them an opportunity to impress. They’re reportedly selling the Kindle Fire for a slight loss on every unit, which means that money has to be made through other avenues besides hardware. Amazon Prime membership is one of those. This means that the company has every incentive to make the service worth the $79 annual fee. As most people who have used this service come to realize, it tends to be. It also lets people test out their own situation with streaming video in terms of connectivity and reliability. Nobody wants to be stuck spending money on video without knowing if they will actually be able to watch it. The trial is good news for all involved. It’s likely this won’t be the last we hear about expanded video content in the next few months. That includes both Prime and regular content, of course, but the service is clearly poised to expand. With the recent dissatisfaction with Internet Streaming giant Netflix, it’s a good time to be presenting customers with an alternative opportunity. 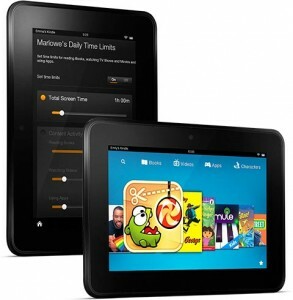 If you’re a fan of this sort of technology, it’s something to keep an eye on around and immediately following the Kindle Fire launch.